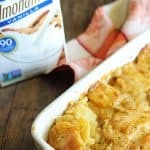 I was recently invited to be a part of the #TasteSilkAlmond Taste Challenge program and was so excited to prove to my mom that Silk Almondmilk CAN be substituted for dairy milk! 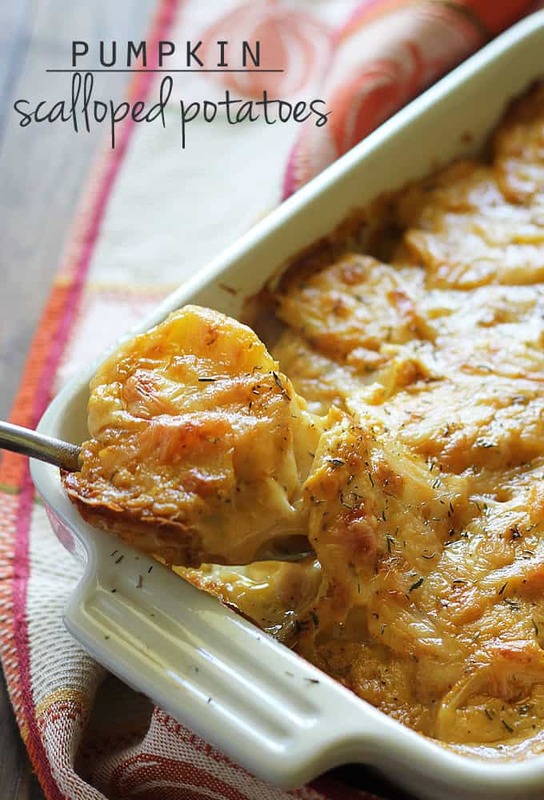 I rocked out these Pumpkin Scalloped Potatoes to win her over. 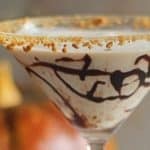 Have you tried Silk Almondmilk? It’s always in my fridge because I use it in smoothies, eat cereal with it and use it in some of my recipes. 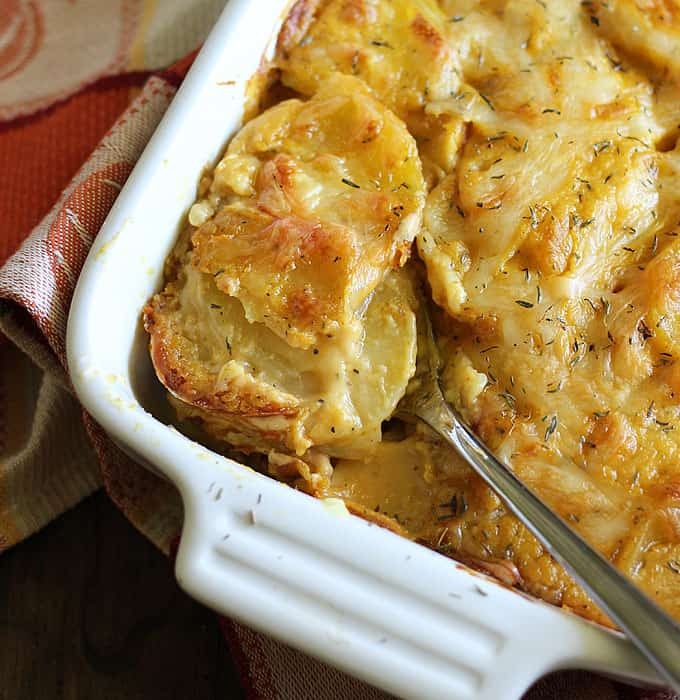 When I first told my mom that I was making this dish of Pumpkin Scalloped Potatoes in celebration of the arrival of autumn, she was a little skeptical at first. Mama just couldn’t imagine pumpkin and potatoes being together. I didn’t tell her I was using Silk Vanilla Almondmilk in the recipe, either. 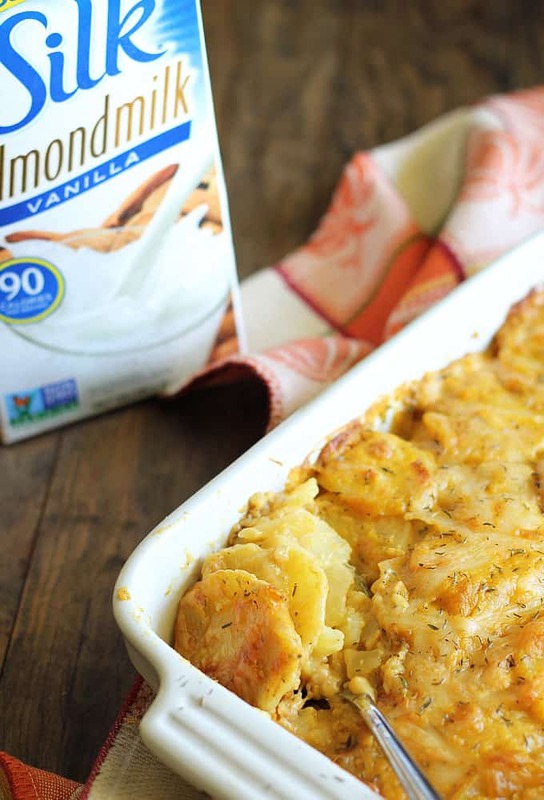 I used my Skinny Scalloped Potatoes recipe with almondmilk as a building block for creating this dish, and just went from there until I got the perfect balance of pumpkin, Swiss cheese and spices incorporated. Needless to say, these scalloped potatoes with a creamy, Swiss cheesy pumpkin sauce seasoned with chipotle pepper and thyme won her over. THEN I told her I used Silk Vanilla Almondmilk. 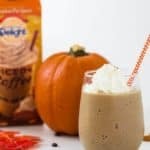 It added just a hint of vanilla to the cheesy pumpkin-flavored sauce. 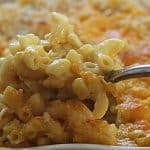 She couldn’t believe the creamy texture of the sauce with using almondmilk! 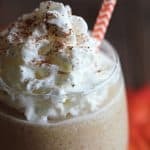 Today I’m challenging YOU to experience the taste of Silk Almondmilk, whether it’s in a glass, a smoothie or in your favorite recipe that calls for dairy milk. Sign up for the Silk eNewsletter where you can get a free coupon to give Silk a try. 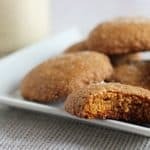 Disclosure: This recipe is sponsored by Silk. 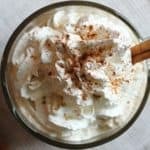 I use Silk Almondmilk regularly in my household. Although I have been compensated for my time, all opinions are my own… as always. 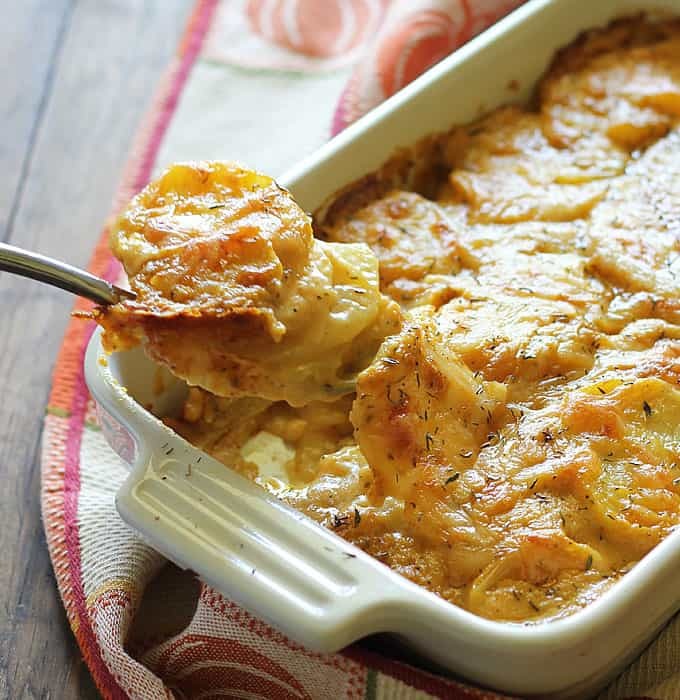 Swiss cheesy and creamy Pumpkin Scalloped Potatoes seasoned with chipotle pepper and thyme ~ a perfect autumn side dish! Preheat your oven to 350 degrees F. Spray a 1 quart casserole dish with cooking spray. Melt butter in a saucepan over medium heat. Gradually add in flour, whisking until smooth. Slowly add almondmilk, continuing to whisk until smooth. Add pumpkin puree, thyme, chipotle, salt and pepper. Whisk to combine well. Continue to cook, whisking constantly, until smooth and boiling. Remove from heat and add 1 cup of the shredded cheese to saucepan. Whisk until smooth. Layer 1/2 of the sliced potatoes in the bottom of casserole dish. Pour 1/2 of the pumpkin-cheese sauce over potatoes. Repeat with the remaining potatoes and pumpkin-cheese sauce. Sprinkle the remaining 1/2 cup of shredded cheese on top. Bake (uncovered) for 1 hour, or until potatoes are tender. Top with additional dried thyme, if desired.